Orpheus and the beasts. Floor mosaic. Nea Paphos, House of Orpheus, 2nd-3rd c. AD (from W. A. Daszewski, 1989, Ὁδηγὸς ψηφιδωτῶν Πάφου. Cyprus: Cultural Foundation of Cuprus & Department of Antiquities). 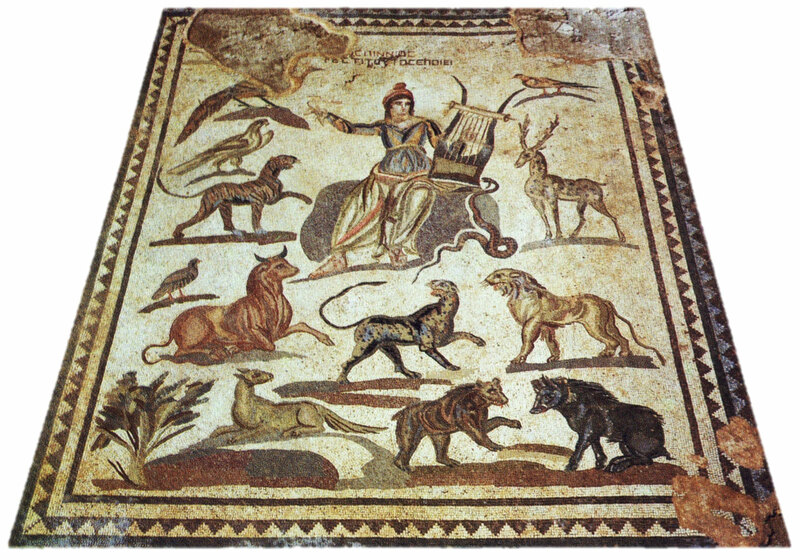 The 9th MOISA International Conference “Music and the animal world in Hellenic and Roman antiquity” is organized by The Department of Music Studies, National & Kapodistrian University of Athens (www.music.uoa.gr) and L’École Française d’Athènes (www.efa.gr).